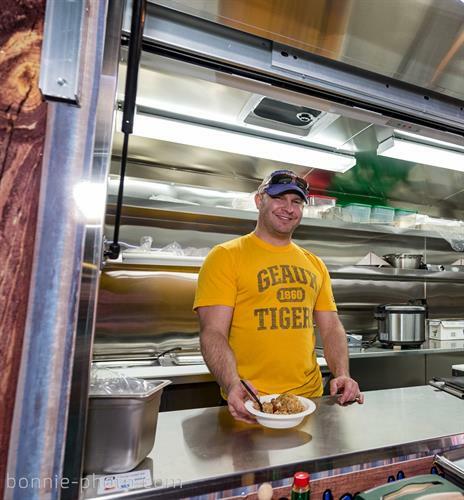 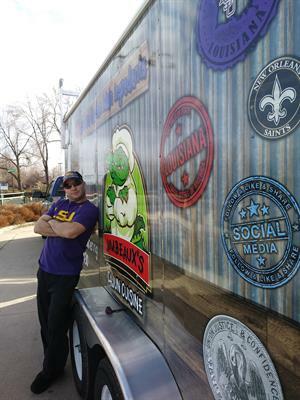 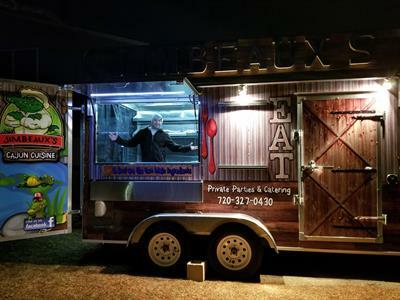 Jimbeaux's Cajun Cuisine is a food truck serving authentic Cajun cuisine! 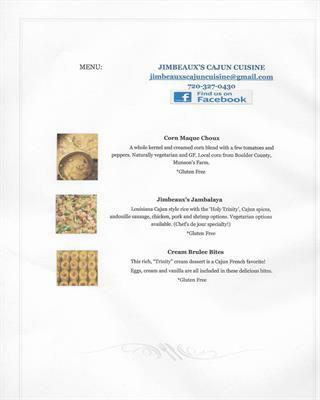 Jambalaya is always on the menu with rotating main entree's and side like Corn Maque Choux (stewed corn dish) from local Munson's farm. 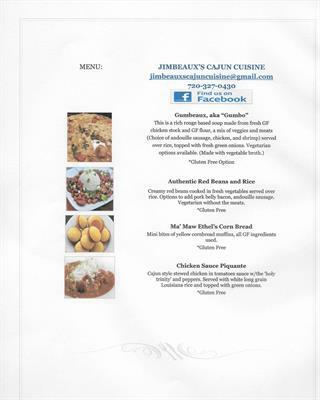 Red Beans & Rice made with Camellia's beans from New Orleans. 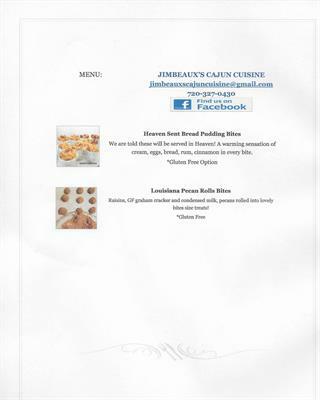 All items served are Gluten Free and locally sourced from Colorado or Louisiana, enjoy. 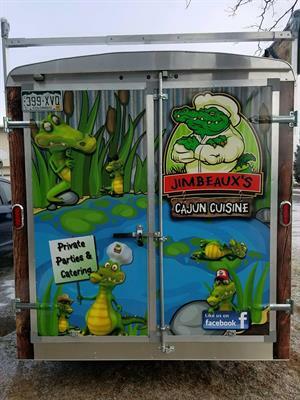 Jimbeaux's is a zero waste, electric food truck, proudly using ECO-Products which are compostable. 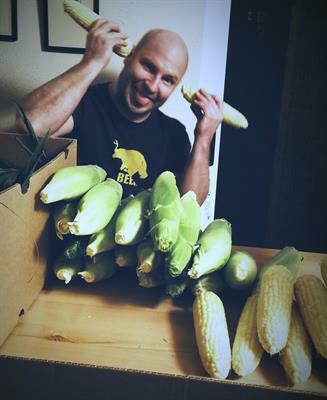 We care about our ingredients in our food and our planet. 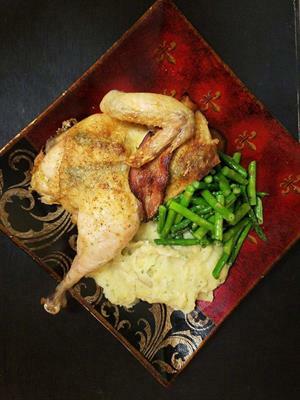 We offer TO GO orders as well...call in advance, 720-327-0430, we'll have it ready when you get there!